Yellow to pink, gold to silver. 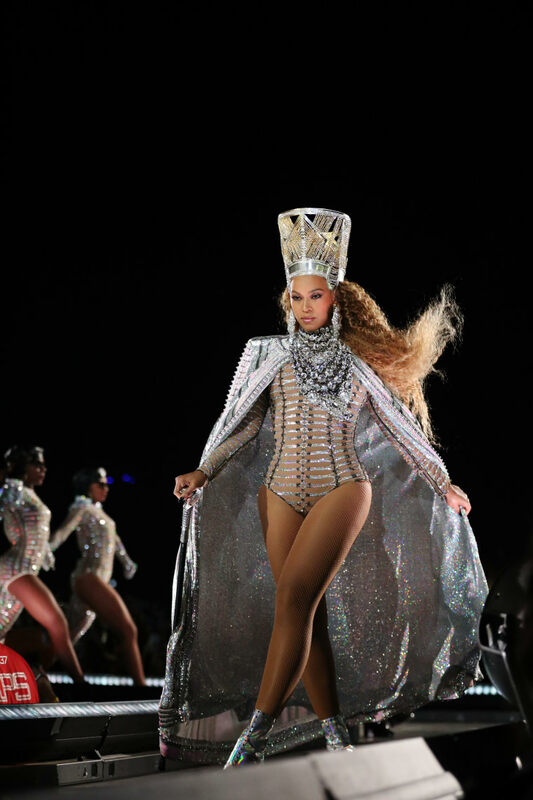 While there was no live stream for Weekend Two of Beyoncé's Coachella performance, Beyoncé still changed up her costumes for the second iteration of her incredible Coachella set. All five of the outfits she wore on stage this weekend were designed by Oliver Rousteing, like the five she wore last weekend. This time though, she was decked out in silvers and pinks, as opposed to last weekends blacks and golds. Check out Beyoncé's Weekend Two looks above and below.